What is the best way to maintain a healthy weight, or lose the same if overweight or obese? 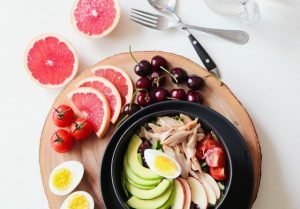 Most people are usually confused on this, particularly when it comes to deciding whether they should reduce the number of calories or carbohydrates they take in. Since both are vital to your overall health, it is essential to understand how to balance the two for you to have the recommended Body Mass Index (BMI). For people who want to shed off some weight, or keep the optimum weight range, it is recommended they create a calorie deficit. With this, your focus should be on burning more calories than the ones you consume. This is achievable by exercising and also boosting your daily activity perhaps through walking, rather than taking a car, especially for short distances. Alternatively, you can ensure you have a deficit by consuming low-calorie foods. More so, you should be aware that your carbohydrate intake can have an effect on the calories you’ve consumed. Thus, you should pay a lot of attention to the calories vs carbs ratio you consume. For each food item that you consume, there is a specified amount of calories in it. Carbs contain roughly 4 calories per gram, proteins have an estimated 4 per gram while fats have 9. Having such knowledge in mind helps you calculate your intake of every food type when you want to create a calorie deficit. You can control the calories you take on a daily basis by watching the kind of foods, and the amounts you consume. 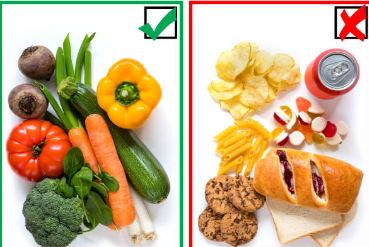 For instance, while carbs are good, it is essential to ensure your diet contains more fruits, whole grains, and vegetables instead of refined carbs such as white rice and bread. Besides this, you should also balance your intake of proteins and fats to achieve low-calorie consumption. Exercising regularly and maintaining active daily activities will also help you burn the calories you take, which in turn boosts your overall health.